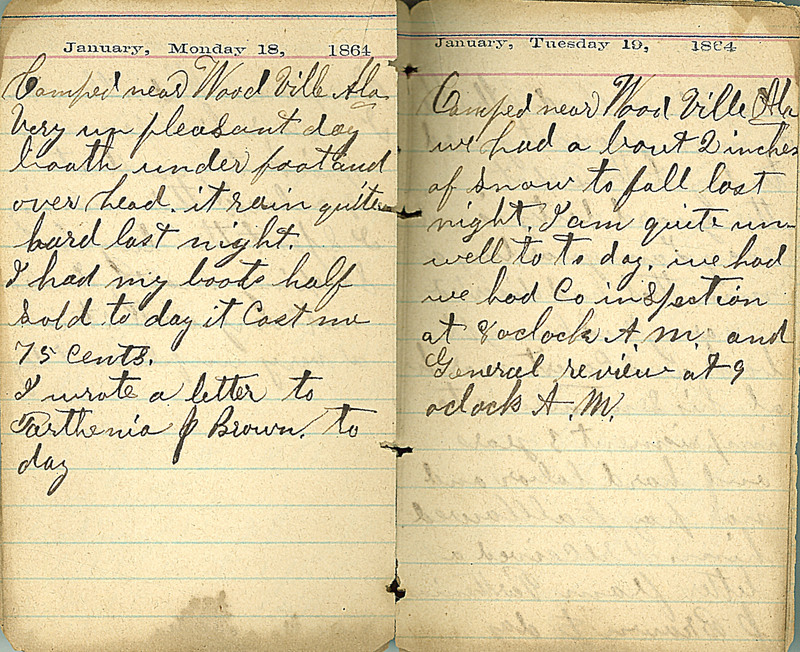 January, Monday 18, 1864 Camped near Wood Ville Ala Very unpleasant day boath under foot and over head. it rain quite hard last night. I had my boots half sold to day it Cost me 75 Cents. I wrote a letter to Parthenia J Brown, to day January, Tuesday 19, 1864 Camped near Wood Ville Ala we had a bout 2 inches of snow to fall last night. I am quite unwell to to day, we had we had Co inspection at 8 oclock A.M. and General review at 9 oclock A.M.